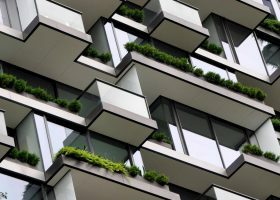 The commercial building environment is focusing increasingly on the internet of things and the ways in which systems that control functions such as heating, ventilation, air-conditioning, refrigeration, lighting and security will interact with central servers. Using data, the systems will produce automated responses such as light or temperature adjustments as well as allow for greater data insights into building performance. Whilst much of this remains a long way off, interesting questions surround the opportunities and challenges which this presents for facilities management (FM) and the types of skills which facilities managers will need going forward. According to Rogier Roelvink, a Melbourne-based associate director of built environment professional services provider Turner & Townsend, a critical area of opportunity revolves around not so much gaining new data but rather in learning how to make better use of existing data which is already being generated through the building management system. Take, for example, the operation of a chiller. Plotting data about this on a timeline using infrequent intervals of one to two hours, for example, might infer a pattern which was close to normal and indeed close to optimal, Roelvink said. A closer examination of the data at more frequent intervals of say, 60 seconds, however, might reveal that the machine was in fact switching itself on and off constantly and that substantial savings could be realised through making appropriate adjustments in order to prevent this from happening, he said. Another area of opportunity revolves around growing levels of expectation on the part of younger workers with regard to their physical work environment. In response to this, facilities managers will increasingly move away from a tangible focus of asset management and toward a more strategic focus of facilitating and delivering an environment into which employees will want to come in order to work, Roelvink says. Where facilities managers are able to make greater use of data in order to quantify the value of investment in certain FM-related areas, they may be able to put forward a more compelling business case for necessary investments to occur and thus help to elevate the level of their function in terms of how it is seen in the context of overall strategic corporate objectives, he said. In terms of skills required, Roelvink says the FM role will become increasingly geared toward a digitally driven environment and will encapsulate greater management and analysis of data generated by the built environment. Facilities managers will also need to complement traditional expertise with broader skills in areas such as data analysis, accounting, law and marketing – skills he says should be incorporated into standard FM training. Moreover, there will be less need to conduct exploratory activities such as removing sections of walls when conducting repairs and maintenance as sensors interact with programs on smartphones and tablets to alert the facilities manager about exactly what is going on with services such as hidden pipes, he said. The significance of this, he says, cannot be understated. In an iconic retail outlet in Sydney for example, a budget of around $1.5 million which was allocated for a specific area of maintenance was completely blown on survey work after building management were unable to locate the services behind a sandstone wall. In a similar situation in the digital built environment, Brant says, the facilities manager would be able to pinpoint the precise location of pipes and other services using a BIM model on his or her tablet or smartphone along with sensors within the wall itself. In terms of new skill sets, Brant is cautious about any form of technology which requires extensive new training, saying that technology must indeed work for the facilities manager of today and be easily understood by existing people within the field. Paul New, chief executive officer of property and facilities management software outfit FM Innovations says facility managers going forward will need to understand more about the biometrics of the workplace and how to represent and communicate this at the executive level. He says facilities managers will need to go beyond ensuring that cleaners and contractors arrive as per expected and will need to operate in an environment whereby facilities management is an integral part of the complexities of how smart building technology is integrated into property. “I think it’s going to be two-pronged,” New said, when asked how technology and especially the internet of things would impact facilities management process. “We are looking at people who used to run large operational businesses (to run FM) and it will be reflective of the assets of the portfolio in which they run. Clearly, they are going to need tools that are able to make value out of the data that is created out of these different systems, processes and biometrics and turn it into something that is reportable. Then, they are going to actually have the skill sets to stand up and present the complex nature (of all this) and provide a recommendation. The internet of things will have a significant impact upon the facilities management space going forward. Those who are able to grasp the opportunities which it offers should see the corporate value of their role grow in leaps and bounds. "…might reveal that the machine was in fact switching itself on and off constantly and that substantial savings could be realised through making appropriate adjustments in order to prevent this from happening, he said." My $14 home thermostat has an Anticipator. What is he running that doesnt? Still skeptical about the virtues and benefits relative to cost of installation – I'll believe it when i see it.